As one of the most prolific deejays in the game and that rare breed of tastemaker/historian, Riz La Teef has been making waves over the past year in the London club world and across a number of internet-based hubs. Known for cutting personal dubs of his favorite tracks, Riz has become the consummate DJ’s DJ recently and has begun to pop up on, what seems like, nearly every bill. And with an ever-growing collection, a selfless willingness to pour nearly all of his earnings back into the pressing plant and a seemingly insatiable desire to spin, there’s no reason to leave him out of your very own favorite DJ list. 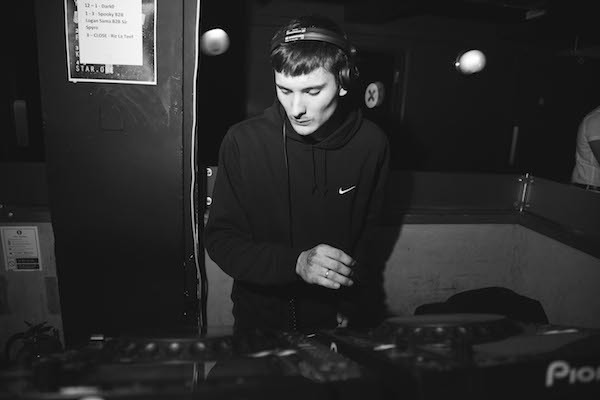 And it’s not just his unmistakable skills behind the decks or fervor for dub culture, Riz seems to act as a sort of glue for many of London’s scenes, bringing together dubstep, grime and funky from all over the city into his mixes. His Astral Plane mix acts in exactly that manner, tying together the bass weight-focused techno of Hodge, Beneath and Kowton with nu school grime provocateurs Logos and Loom. Plus, there are a few coming-of-age classics from Lil Silva, Deadboy and Digital Mystikz to tie off the whole affair. It would be a Sisyphean task to try and work through every Riz La Teef mix on the web, but I can’t imagine a DJ I’d rather spend a few weeks with.